In a Memorial Day showdown of two major tentpoles, there was one clear winner at the box office: the students of Xavier's School for Gifted Youngsters. Finishing in the top spot this weekend is X-Men: Apocalypse (read our review), which brought in $65 million domestically in its first three days. It's estimated that the film will reach around $80 million for the four-day holiday frame. There's no denying that's a good start, especially when coupled with its international figures. However, that's a sizable decrease from the opening weekend of its predecessor, X-Men: Days of Future Past ($110.5 million four day), as well as this February's Deadpool ($152.1 million four day President's Day weekend). The main culprit for that is probably the word-of-mouth, which was far more mixed than any of the recent X-Men films. Throw in the fact that this was already the fourth superhero film of 2016, perhaps audience fatigue (relatively speaking) was settling in. It'll be interesting to see how Apocalypse holds up as it continues its run, since the reaction was not as enthusiastic as previous installments. The summer movie season is in full swing now, and there are several high-profile works on the horizon for viewers to check out. There's a chance the latest X-Men gets lost in the fold due to it not being as critically acclaimed or accessible for casual audiences in comparison to other franchise entries. The movie is by no means a disappointment, but Apocalypse clearly didn't have the pull of a Captain America: Civil War or Batman V Superman. As hard as it is to believe, Deadpool is now Fox's most marketable Marvel character. Coming in a very distant second is Alice Through the Looking Glass (read our review), which made just $28.1 million in its first three days. For the full Memorial Day weekend, it's expected to bring in about $35 million. That certainly is not what Disney was hoping for, after 2010's Alice in Wonderland grossed $116.1 million in its debut. Going head-to-head against a comic book movie was probably not the best idea, especially when considering the mixed reaction Wonderland received. Yes, it made $1 billion worldwide, but it didn't exactly win over many fans who were clamoring for a sequel. The six-year gap between entries also didn't do Alice any favors, as the demand clearly wasn't there. In a record-breaking year for the Mouse House, this is their first real mishap of 2016. Up until this point, all of their major releases were overwhelmingly successful. With numbers this low at the start, it's unlikely Looking Glass can turn things around in the coming weeks, particularly with the bevy of tentpoles opening soon. This will go down as a wash for Disney, even if the global numbers (current worldwide total: $93.1 million) can act as a saving grace. Chances are, there won't be a third installment in this series. Last week's champ, The Angry Birds Movie, fell to third in its second weekend with $18.7 million. The animated family film is now up to $66.3 million Stateside. It's an even bigger hit overseas, as the global total stands at $223.5 million, far ahead of the $73 million production budget. In fourth is Captain America: Civil War. The latest installment of the Marvel Cinematic Universe obviously took a hit with the arrival of X-Men, but it still found a decent audience in its fourth weekend. The superhero epic made $15.1 million, raising its domestic total to $372.6 million. Civil War has now passed Deadpool as the highest grossing film domestically for 2016. Rounding out the top five is Neighbors 2: Sorority Rising. 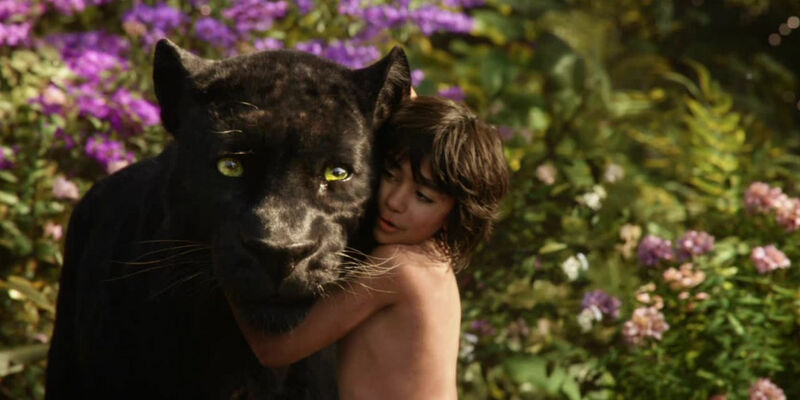 The comedy sequel made $9.1 million and is now at $38.3 million in the U.S.
Coming in sixth is The Jungle Book. Jon Favreau's fantasy adventure made $6.9 million in its seventh weekend, raising its domestic total to $338.4 million. Shane Black's The Nice Guys fell to seventh this weekend. The neo-Noir throwback grossed $6.3 million and is now up to $21.7 million Stateside. At #8 is Money Monster with $4.2 million. It's currently at $33.9 million domestically. Coming in ninth is Love & Friendship. Adding 446 locations to its theater count, the film was able to make $2.4 million and is now at $3.4 million domestically. Capping off the top ten is Zootopia. The animated smash brought in $831,000 in its thirteenth weekend to raise its U.S. total to $335.8 million.